Over 10,000 people receive ER treatment related to recreational injuries per year. Unintentional injuries are one of the top three causes of death for people ages 15-54. 3.5 million people suffer a non-fatal injury from a motor vehicle accident each year. Today’s high health insurance deductibles and copayments mean that the out-of-pocket costs of these injuries can be devastating to your family finances. Monthly bills such as housing and utilities can be difficult to pay, requiring more debt or worse. The rate of death by heart disease has dropped significantly the past 50 years. Though the death rate by cancer has remained unchanged, the survival rate by cancer has increased 21% the past 15 years. Today one of the largest uninsured risks is surviving a major illness. 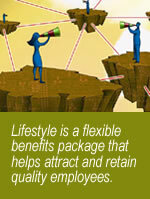 Lifestyle's built-in Accelerated benefit can provide money to help reduce the costs of surviving a major illness.